Interrupting my own blog schedule to share something fun that was just shared with me! 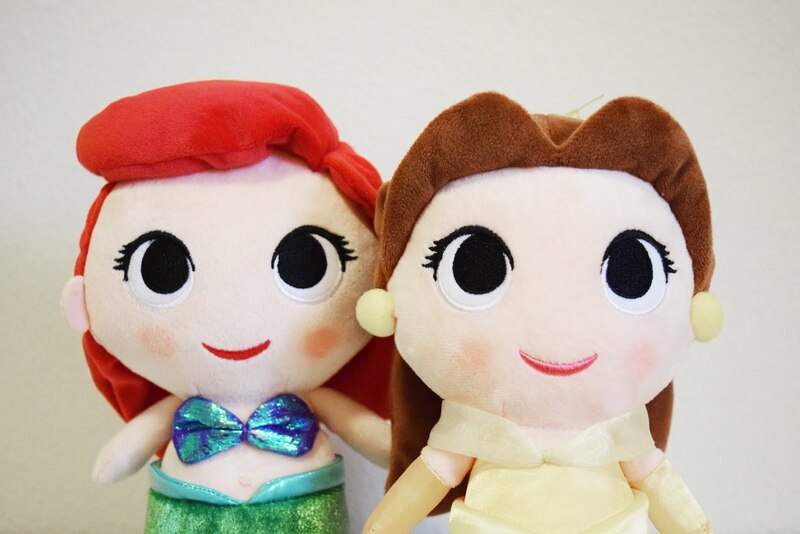 Funko is launching a line of super cute princess plushies and sent me a preview of Belle and Ariel from the collection. These are way too cute and the online pictures don’t even do them justice. If you know a little one or a Funko collector that loves Disney princesses these would make an adorable Valentines Day gift. Even cuter (is cuter a word?) would be to wrap them up with their matching film. Here are the details! They will be available at Walmart later this month. Characters Available: Cinderella, Ursula, Belle, Snow White, Ariel and Mulan! Natalie Notes: These are super soft like a stuffed animal but can be propped up like a collectible to display. I have mine on the “movie shelf” in our bedroom, right next to our Disney film collection.